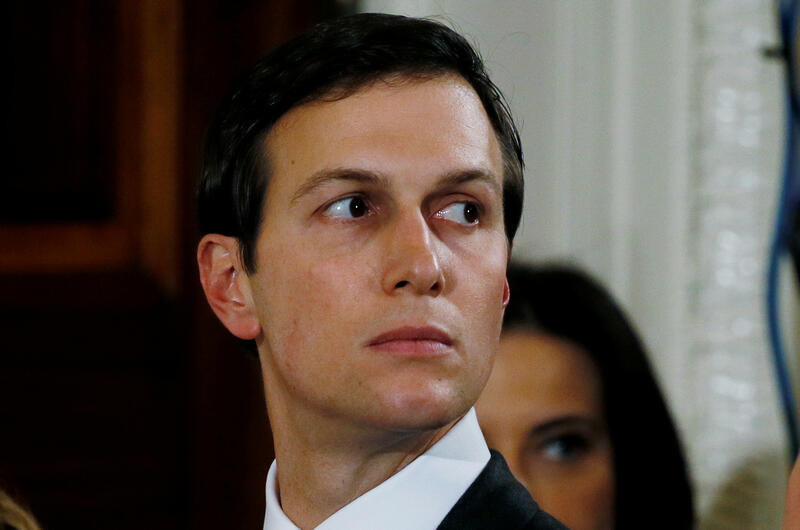 President Trump's son-in-law and senior White House adviser Jared Kushner was interviewed by special counsel Robert Mueller's office, CBS News has learned. CNN was first to report that Mueller's investigators asked Kushner about former national security adviser Michael Flynn. Kushner was questioned earlier this month. Sources familiar with the process say the interview happened in the first week of November and lasted about 90 minutes. They say it was largely focused on certain interactions, meetings or communications Kushner had with Flynn on the matters the special counsel is investigating about Flynn's actions and conduct, as well as his son's. In a statement given to CBS News, Mr. Kushner's attorney Abbe Lowell said, "Mr. Kushner has voluntarily cooperated with all relevant inquiries and will continue to do so." The Associated Press writes that the confirmation of Kushner's interview came as prosecutors working for Mueller postponed grand jury testimony related to Flynn's private business dealings. AP adds that the reason for the postponement was not immediately clear, but it comes one week after attorneys for Flynn alerted Mr. Trump's legal team that they could no longer share information about the case. The grand testimony that as scheduled for the coming days related to Flynn's firm -- Flynn Intel Group -- its work with a public relations firm and interactions with congressional staff. In addition, AP reports that Mueller and the FBI are interested in hearing from employees at the public relations firm, SGR LLC, because of its work with Flynn Intel Group. SGR LLC -- which does business as Sphere Consulting -- did public relations work on a film Flynn Intel Group was working on about Turkish cleric Fethullah Gulen. The film was never completed. Previously, Flynn's lawyers had openly shared information about the special counsel's investigation with the president's legal team. Now, according to four people involved in the case who remained anonymous as they are not allowed to comment publicly on the matter, Flynn's communications with Mr. Trump's legal team have been terminated, The New York Times first reported. It is common for defense lawyers to share investigation information, but this practice becomes unethical once a conflict of interest presents itself. While this change in communications does not prove that Flynn is cooperating with Mueller's prosecution, it has led the White House legal team to believe that Flynn has now at least begun working with the investigation. However, CBS News confirmed that Mr. Trump's personal legal team does not consider this development necessarily harmful or threatening to the president. "It is probably a plea deal," Jay Sekulow told CBS News earlier this month. "That is the assumption. And if it is a plea that doesn't necessarily mean it has anything to do with the president. The Manafort indictment didn't have anything to do with the campaign or Trump." Trump's legal team has been expecting this development for weeks. They have been awaiting either an indictment of Flynn or his son, or a plea deal involving one of both. Flynn had a security clearance during Mr. Trump's campaign and the subsequent transition to the White House as a result of his service as head of the Defense Intelligence Agency. Former President Obama fired Flynn from that position in 2014, but he retained the clearance. If legitimate, Flynn's cooperation with the prosecution would give the special counsel investigation insight into the Trump campaign's operations and the early days of Mr. Trump's presidency. Flynn's role within the White House was terminated just 23 days into the Trump presidency. Mueller was appointed by the Justice Department in May to oversee an investigation into potential collusion between Russian and the Trump campaign to influence the 2016 presidential election. AP writes that the investigation -- which produced its first criminal charges in October against three former Mr. Trump campaign officials -- incorporated an earlier FBI inquiry into Flynn's lobbying and investigative research work on behalf of a Turkish businessman. Flynn's firm was paid $530,000 for the work. According to the AP, Sphere employees cooperated for months with Mueller's investigation, including by turning over documents requested by investigators and sitting for voluntary interviews. CBS News' Jeff Pegues, Paula Reid, Major Garrett and Blair Guild contributed to this report. This is a developing story. Check back for latest updates.